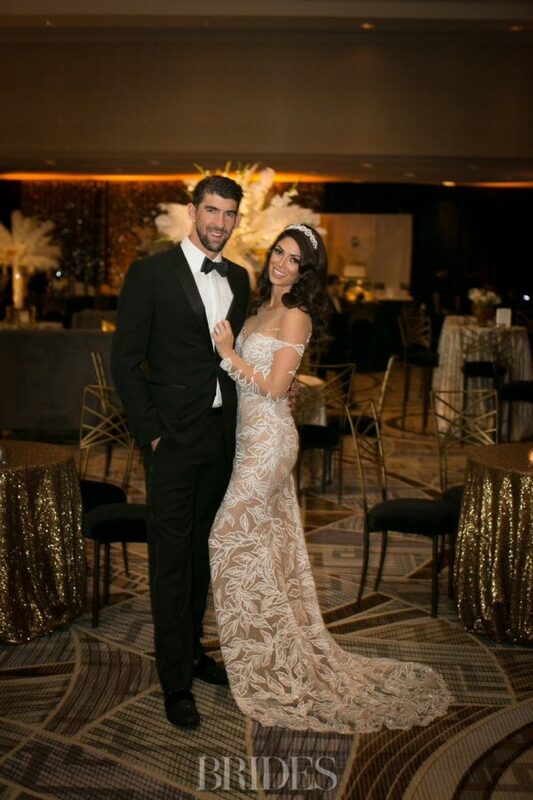 Nicole and Michael Phelps had a “secret” New Year’s Eve wedding reception that we are excited to announce we had the pleasure of being a part of! Earlier this week, Brides broke the news of the reception, located at the historic Arizona Biltmore, A Waldorf Astoria Resort, with a sneak peak of some of their reception photos. 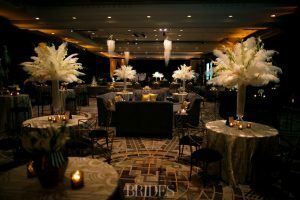 We have been sitting on the news for a while, since we were working with the event planners from Victoria Canada Weddings and Events to create a cohesive look. 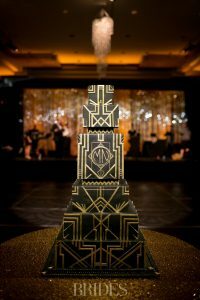 We started with designing their fabulous monogram, which was used throughout the event, along with many decorative pieces and all the fun signage. You can see our monogram design here, as used on their stunning cake, created by Heartsweet Cakes. 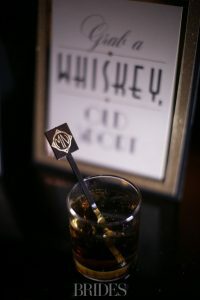 Another layered sign, “Grab a Whiskey, Old Sport” sat on the whiskey bar, where we also had custom stir sticks made with the Phelps couple's monogram. 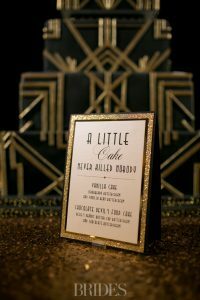 The art deco decorated tables also had our table tents outlining the various food options that would be rotated throughout the night. 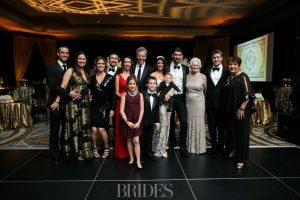 We can wait to share more details from this glamorous event when more photos become available. We would also like to shout out to all the vendors that were involved in making this such a fabulous event!